Moving on can be tough, whether it’s moving on emotionally from a death or trying to forget an ex. It could be the physical act of moving on, like when you cut in front of someone in line and they start screaming at you but you still don’t want to move even though you’re in the wrong. It’s something that every person struggles with internally which is why articles like these are so relatable. Heres a list that has compiled all the best pictures that prove exactly how tough it is to move on. 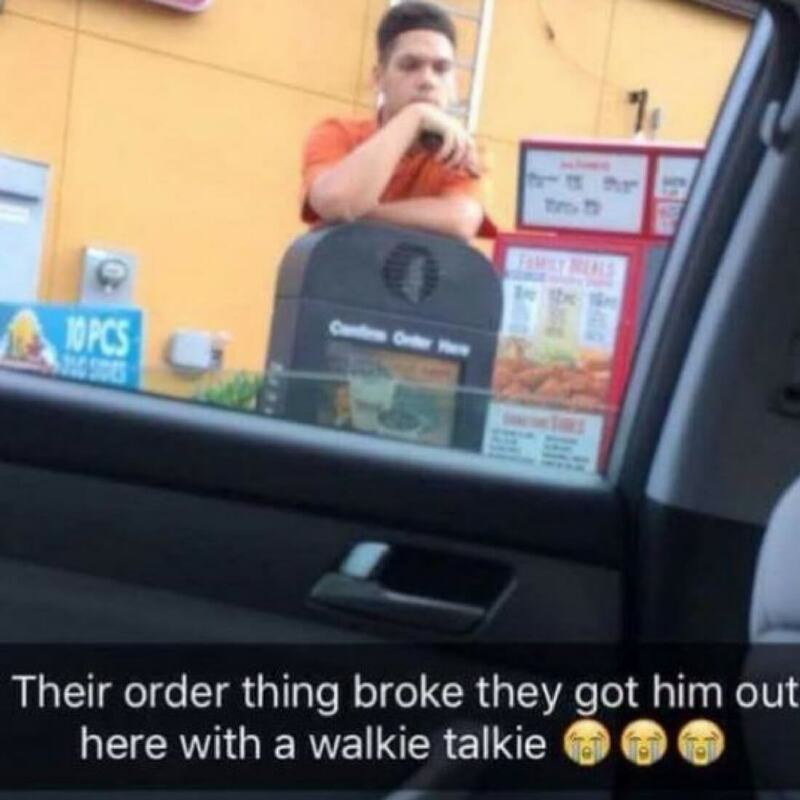 When the “order thing” breaks and you have to trek out with a walkie-talkie, that’s probably a low point. There will be no moving on for this guy who will have endured an insane amount of emotional damage when he had to come face-to-face with drive-thru goers. Our thoughts are with him.